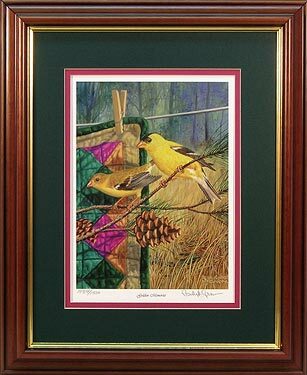 Two Golden Finches share fond memories with a family heirloom. the following wildlife prints: "Blue Bandits", "Redbird Express" and "Sugar Spout". This print contains 3 hidden wildlife animals in their backgrounds!